The North American Humpy fly pattern is mainly a fast water attractor with very good floatability and visibility. The origin of the Humpy pattern is in dispute. Some say it is a combination of Jack Horner’s Deer Hair pattern and Canada’s Tom Thumb. Both patterns were in use on Western North American streams in the late 1930’s. But in his article "Goofus Bug Evolution," in the American Angler (Spring, 1990) Pat Barnes credits this pattern to Keith Kenyon. 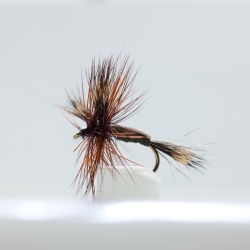 Kenyon, a Montana guide and tier, created in 1944 for the Firehole River. Its effectiveness leaked out and requests for that "goofy deer hair fly" bombarded Pat and Sig in their West Yellowstone shop. Thus the name "Goofus Bug" was adopted. The name "Humpy" applies to this pattern coming from Wyoming sources. Others credit Leonard ‘Boots’ Allen as the designer. He was tying and selling Humpies in the late 1940’s. Over the years other tiers have made small changes. In the 1960’s Jack Dennis experimented with different types of hair to increase the Humpy’s durability. As an attractor pattern it is amazing how well it works even when there is no hatch on. Just like the buoyant bushy Wulff patterns they work particularly well on rough water as well as on calmer water. The Humpy dry fly presents a bushy, high floating fly, that remains visible into the evening twilight, and rides well in rough water. 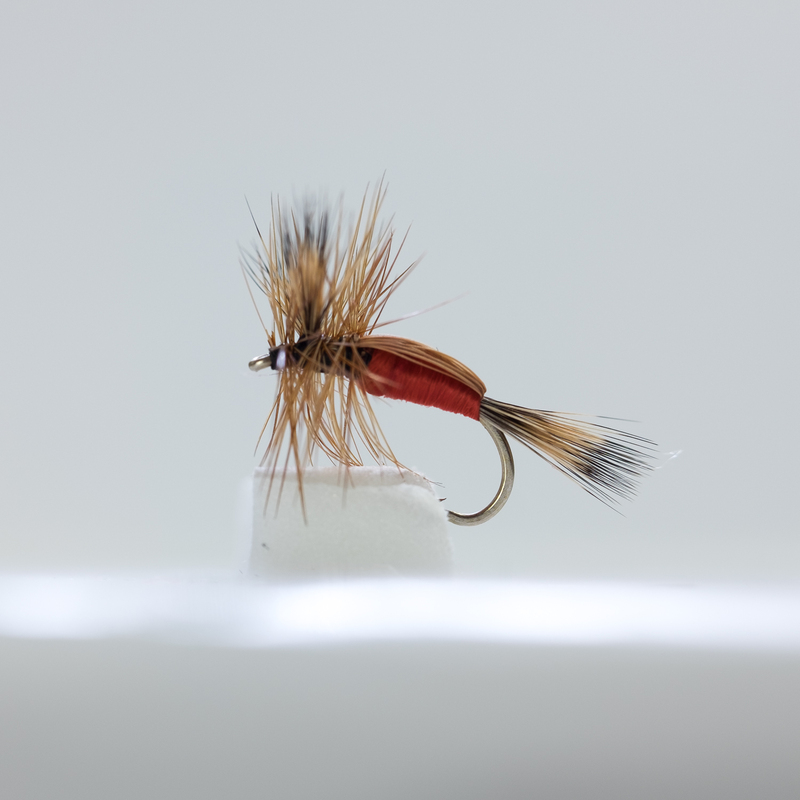 Every modern fly angler should have one or more humpy or Wulff dry fly for rough water, windy or twilight situation's. The traditional British featherwing fly was too delicate for some North American water. The solution was to use bucktail (deerhair) for tails and wings. The mobility and buoyancy of elk and deer hair has made it a favorite North American fly tying material. When you first use Humpy flies treat with floatant and fish on the surface. Leave the fly to drift with the current. Occasionally accelerate it gently over short distances of a yard (meter) or more, or else twitch it to represent a struggling insect trapped in the surface film.